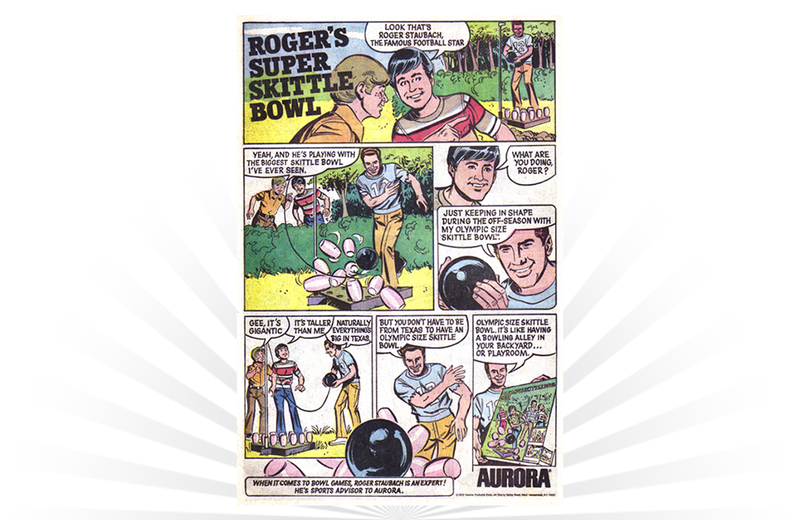 A 1973 ad for Roger’s Super Skittle Bowl from Aurora. And yes, the “Roger” in question is Pro Football Hall of Famer Roger Staubach. Racko and Easy Money: two classic board games from Milton Bradley.